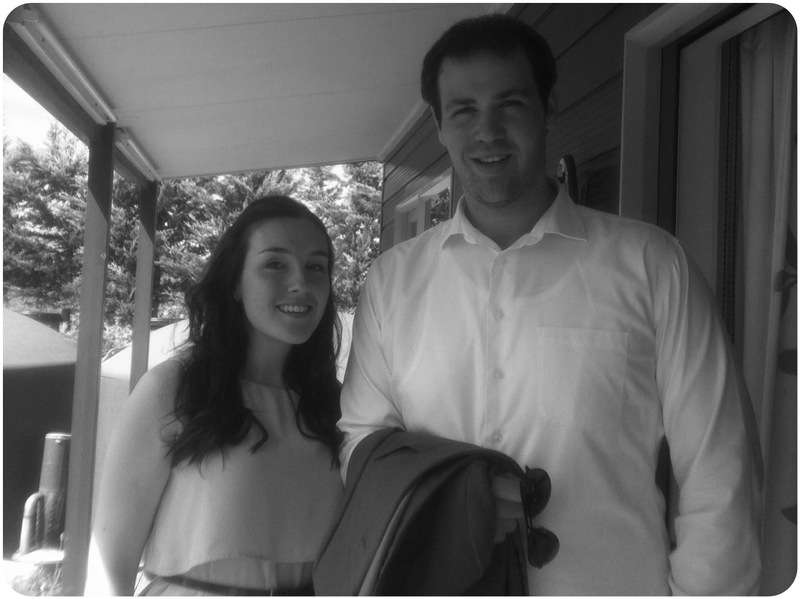 Hey internet, here’s a picture of the Tall One and me before my friends’ wedding yesterday. We scrub up pretty good if I do say so myself. Our day started with a quick run into the town square and back (we were staying just out of town but the run was only about 4km). Tall One kicked my arse – I’m putting it down to his long legs… I’m wearing heels in the photo. Oh yeah, and our relative levels of fitness. It was perfect. Small, intimate – only family and close friends. Both bride and groom were beaming (beautiful! ), and hearts melted watching the service. Again, it was perfect. A relaxed, intimate family affair. Good company, good wine, good food, and dubious dancing. It was beautifully decorated house, with dining outside in the perfect Martinborough weather. Tables nestled in the back yard, between the house and rows upon rows of grapevines. And the wedding cake was an amazing fudgy chocolate cake that – despite the copious amounts of sugar – I ate two slices. I had to, really.